In a victory for long-suffering posties, the government has backed a move to ban low-level letter boxes from new buildings. Unions have waged a long campaign to protect workers from back injuries, dog bites and trapped fingers. Conservative MP Vicky Ford took up their cause with a private member's bill on a minimum letterbox height. The government has now promised to consider changing the law as early as 2020. The new regulations are likely to be similar to European standards, where a letterbox must be between 0.7m and 1.7m high. Victory! Absolutely delighted that low level letter boxes will now be in next review of building regs. MP Vicky Ford said low-level letterboxes were a "real issue" in her Chelmsford constituency, where staff at her local Royal Mail delivery office had first raised it with her. Since she introduced the bill, she has been contacted by people all over the UK in support of changes, from those delivering parish magazines, pizza leaflets and newspapers. The government's Building Regulations Advisory Committee has now announced it will be reviewing low letter boxes on new build properties. Mrs Ford said she had been contacted by Housing Minister Kit Malthouse to inform her it was now under consideration - and so she had decided to withdraw her bill. 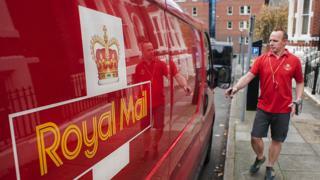 The move is supported by Royal Mail staff who are in the Communication Workers' Union. Every year, 16,800 Royal Mail workers have time off due to back complaints, said Mrs Ford.